Public health sciences is still a relatively recent field of study at German universities and universities of applied science; it encompasses efforts to prevent disease, extend life and promote health (DGPH 2015), thus clearly pursuing a political mandate. In the present text, we will first characterize public health sciences on the basis of four characteristic features. 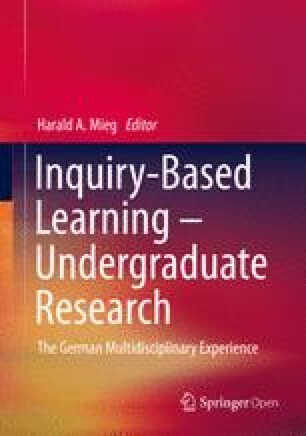 We will ask about their relevancy to teaching in the field and, in particular, for implementing inquiry-based learning, present examples of the implementation of inquiry-based learning in the health sciences, and, finally, reflect on these in a critical light.